Amongst many other things, Hito Steyerl's film November (2004) provides – within the realm of contemporary art practice – a startling reflection on some of the themes that I have been starting to explore on this blog. The film traces the enigmatic figure of Andrea Wolf through a series of circulating media representations. Wolf - the film tells us - was a teenage friend of Steyerl, and the star of Steyerl's first movie, a home-made teenage feminist appropriation of martial art and exploitation tropes, shot on super-8 back in the 1970s. Only the action scenes were ever made, and the film involves a group of girls seeking out and beating up men for reasons that no longer seem clear to Steyerl herself, reprising imagery from Russ Mayer's Faster Pussycat, Kill, Kill!, a film that Steyerl notes is "tacky," and which is ideologically dubious to say the least, but which nonetheless seems here to have provided a model of identification within which feminist (or at least proto-feminist) desires could be negotiated by the young, somewhat radical, women who took part in Steyerl's shoot. A still from Steyerl's early movie, reproduced in November shows Andrea Wolf, age of 18. Wolf, however, also went on to lead a life involved in rather more actual radical politics, becoming involved in far-left groups in the orbit of the Red Army Faction, and ending her days in Turkey as a guerrilla with the Kurdish PKK. It was there that she met a tragic death, executed by the Turkish authorities. The fantasy violence of teenage identifications with media images are transformed into the messy real life violence of war. Wolf, however, was turned once again into a media image, in the guise of a political martyr, and made to circulate once more in the realm of imaginary identifications and kitsch fantasies. 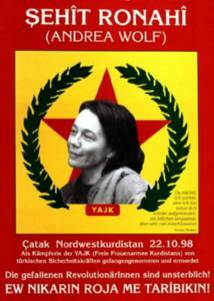 Kurdish propaganda poster celebrating Andrea Wolf (with her assumed Kurdish name of Sehit Ronahi) after her death as a revolutionary martyr. These images were used on marches by PKK-sympathetic groups. 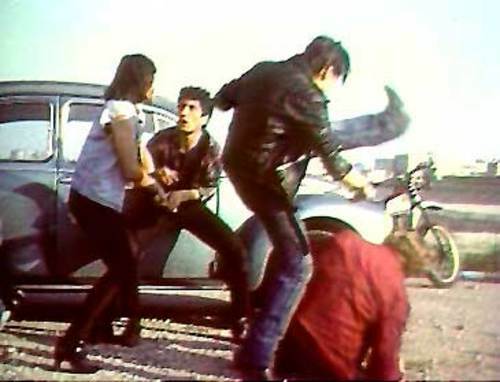 Within her exploration of the power of images – in their continual circulation and with their continual transformations of meaning, to feed into reality, producing myths that are then performed – Steyerl's film includes a meditation on the martial arts cinema with which she and Andrea Wolf alike were obviously so fascinated as youths – Steyerl making a home-made B-Movie homage to the genre as her first directorial experiment, and Wolf taking up karate as a part of her self-creation as a militant, as an act, if you like, of self-empowerment. In November, Steyerl also recounts the myth of Bodhidharma travelling from India to China and founding the Shaolin Temple, creating the archetype of the lone, wandering warrior, dedicated to truth and justice and fighting the strong and the tyrranical with bare hands alone. It was a myth spread globally by the martial arts movies that boomed in the seventies, even finding its way into avant-garde texts such as René Viénet's Situationist classic Can Dialectics Break Bricks? – a film I've started to discuss elsewhere on this blog, and which Steyerl quotes at a number of points in her own twenty-first century revisitation of the "kung fu" moment. Still from Steyerl's early film, as reproduced in November. Of course, as much contemporary scholarship has set out to show, the story of Bodhidharma and the story of a Shaolin rebellion is so much myth, constructed largely only in the twentieth century, under the radical modernising programmes of the Nationalists and Communists, which sought to co-opt the physical cultures of martial arts into a nationalist revival of the body politic. Much of the discourse around the martial arts (and out of which martial arts cinema emerges) seems to hinge on the obsessive and contrary acts of making and unmasking myth. It has recently become something of an industry to debunk the Chinese martial arts' claims to older and more subversive histories, with writers in particular such as Peter Lorge and Stanley Henning in the forefront. But this, for me, is where Steyerl's complex negotiation of the territory trumps the demythologisers. Her film at once criticises and lays bare the treachery of images and myths, their mutability, their seductive but dangerous power, and their ability to never quite mean what you want them to mean, even in your own acts of appropriation; but it also seems to embrace the productive power of myth, and of popular culture as a site of its circulation. Myth is the very power (the puissance, as Lacoue-Labarthe put it) to produce a self and a position in the world, however compromised such a position may become by the instability of representation, and the powers that already colonise the image. The grasping and active, critical renegotiation of myth, rather than its simple rejection, becomes an important emancipatory activity. In marking this complexity and ambivalence, Steyerl manages to avoid the trap into which the martial arts mythbusters fall. Such mythbusters fail to grasp the mythological power of their own acts of demythologisation. 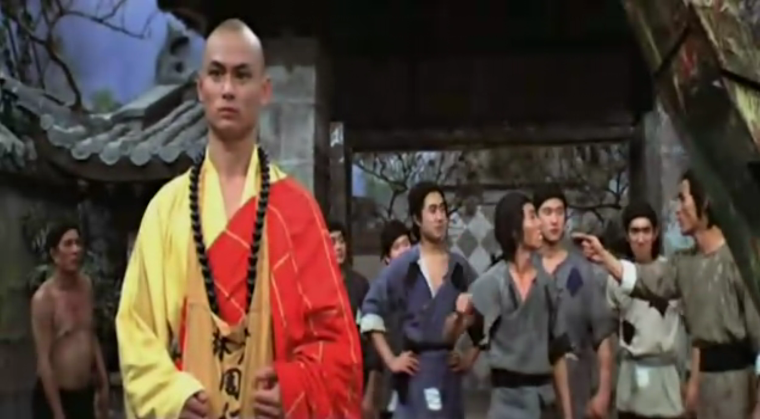 Thus when the Jingwu academy, back in the early twentieth century, broke the image of the Shaolin Temple as the fount of martial arts (a myth at that point not actually that old), it was only to replace it with the myth of the patriotic Huo Juanjia and his death at the hands of Japanese oppressors. And similarly it seems hardly co-incidental that at the moment when there is a rage for Western Scholars such as Lorge and Henning who (to put it a little crudely and to exaggerate just a little) deracinate the cultural aspects of Chinese martial arts in order to turn them into objects of comparative study, this is actually also the moment of the rise of Mixed Martial Arts (MMA), perhaps one of the most reactionary forms of martial artistry since the kung fu craze, in its gender politics as well as its spectacularisation of violence as pay-per-view spectacle, and one that also pretends to a "scientific" and trans-cultural neutrality in order to assert its suppose superiority over backwards forms of ("foreign") traditional practice. Such a scientism is in its own way an ultimate form of magical and mythologising gesture, set now under capitalist imperatives for making money. Steyerl's film is called November. Within the film, the title is explained through the contrast to the revolutionary moment of October, a moment where things appear simple and true, and revolutionary action can be grasped confidently. By November, things are looking much more tangled and messy, the revolutionary enthusiasm shown as always already compromised by – and fallen into – the false images on which it depended. Steyerl doesn't retreat from problematising a radical legacy in her self-construction as a critical leftist, noting the ways in which in real history the "good guys" (even Andrea Wolf) are often not nearly as innocent or lilly-white as their mediatised images. November is a time of distrust and scepticism. It's a time when identifications need to be rebuilt, but also when they need to be guarded against. It seems to me that martial arts cinema as a global phenomenon was always a cinema of "November" - a cinema of the aftermath – springing up in the wake of the global wave of decolonisation and the protests of "1968." It was always a cinema where the real had passed into its simulations and its uncanny (and untrustworthy) imagistic doubles. The question might remain, however, of the "truth" that such images nonetheless might carry into the present. November, then is a time of haunting. A time, as Derrida might suggest, quoting Hamlet "out of joint." (See his Spectres of Marx.) Steyerl seems to capture this haunted and haunting quality of media images very well, neither there nor not-there. To live in the realm of media images is to live a haunted existence. Perhaps this is the point, more generally, with the martial arts film, too. Even if the myths they recount don't simply tie us to a simple continuity with the past, in the way that official Chinese Communist Party histories sought to imagine the Boxers Rebellion, the Taiping Rebellion, the uprisings of the Hongmen (Tiandihui), or further back peasant revolts such as that of Li Zicheng, in their own image, there seems to me to remain the question of what it is that returns in them, what haunts them, from elsewhere, as it were. According to Lacoue-labarthe, myth "is a 'power' [puissance], the power that is in the gathering together of the fundamental forces and orientations of an individual or a people, that is to say the power of deep, concrete, embodied identity." See his Heidegger, Art and Politics, p.93.